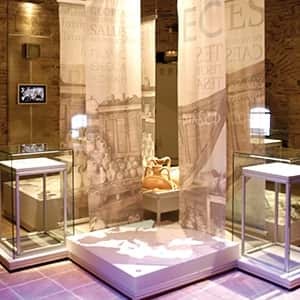 The theme is the founding of Thessaloniki, both the time and the environment in which it was founded. 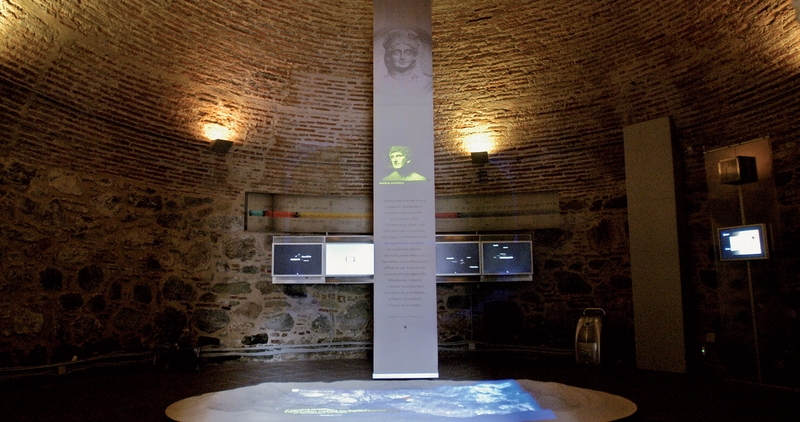 In the center is a vertical banner at the top of which is imprinted the personification of Thessaloniki from a fourth century relief; below this, slides are projected showing personalities who played an important role in the history of the city over time. 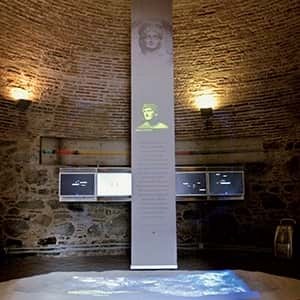 Below this is printed the ancient geographer Strabo’s text with information on the founding and name of Thessaloniki. 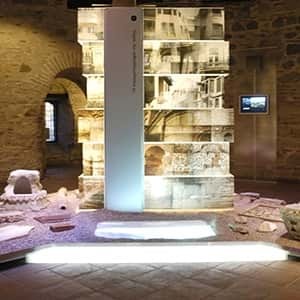 On the floor in front of the vertical banner a projection shows the geographic area of Thessaloniki with its fertile land, where human presence dates back to the sixth millennium B.C., while many organized settlements were created in the Bronze Age (3000-1100 B.C.). 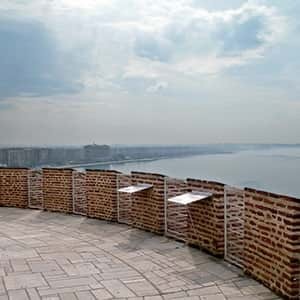 Here Kassandros founded Thessaloniki in 315 B.C. 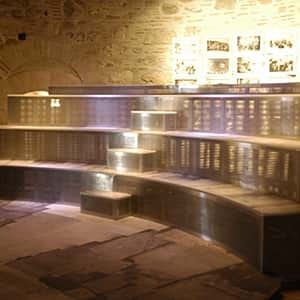 through the resettlement of the inhabitants of 26 settlements in the surrounding area. 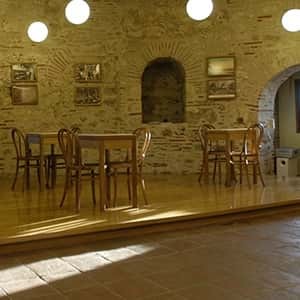 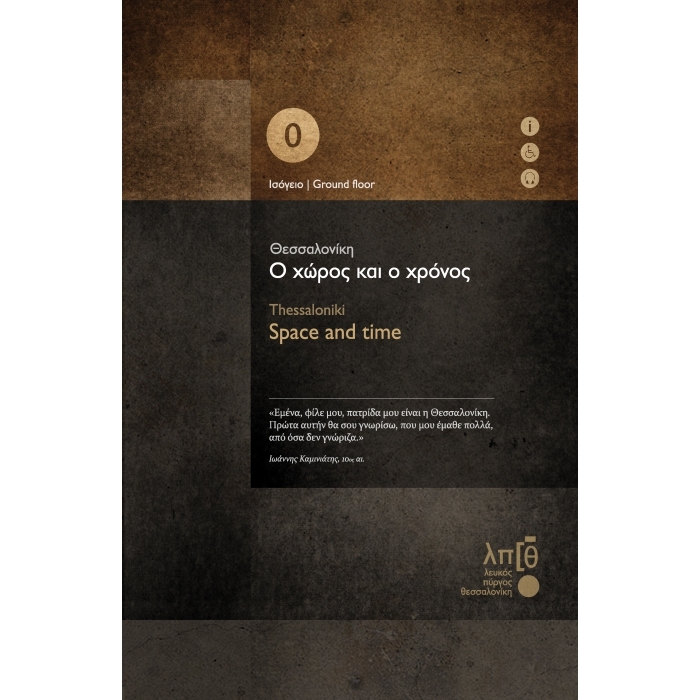 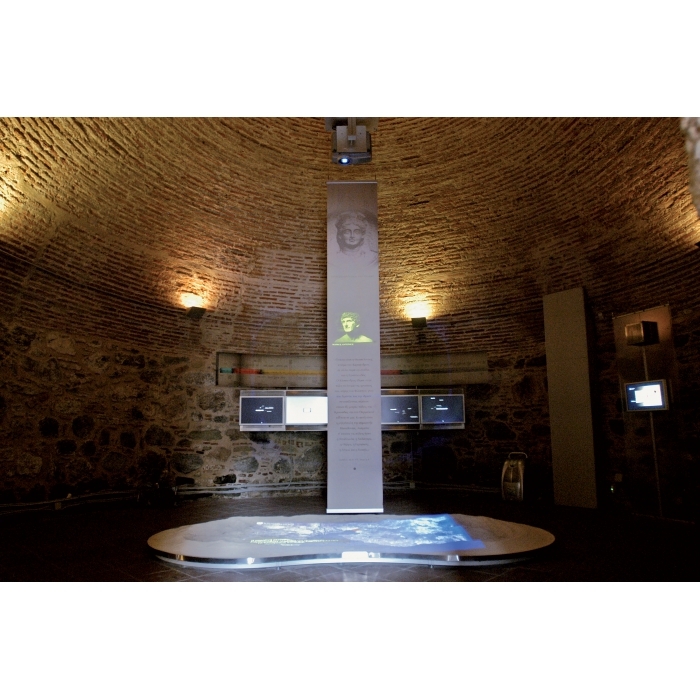 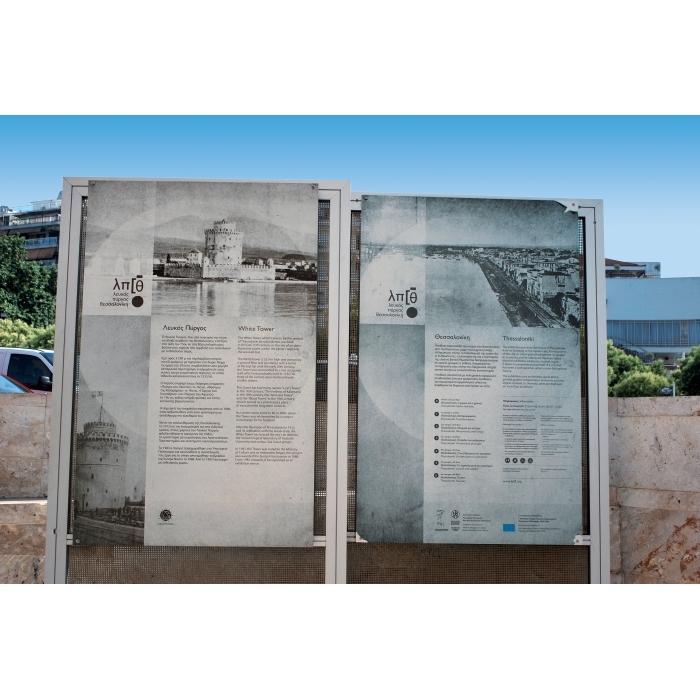 Around the perimeter of the central space is a print and interactive timeline with events connected directly or indirectly with the city, in addition to a video of Thessaloniki’s cartographic history. 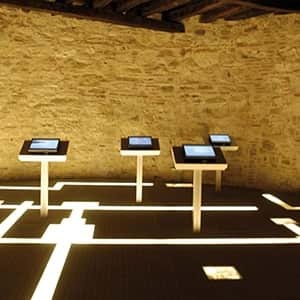 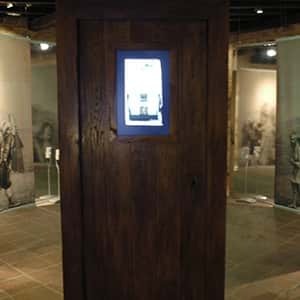 There are also information stations where persons unable to ascend to the upper stories may take a virtual tour of the exhibition.